Lonely in outer space… relieves boredom by scaring humans by hovering over their backyards at night or zig-zagging through meteor showers. Can achieve Earth orbit, even go to Moon and back with enough fuel. Acts as communications satellite… optical sensors can see bicycle at 600 miles. Has pinpoint accuracy, high-powered particle beam. Not well-suited to function on ground as robot. 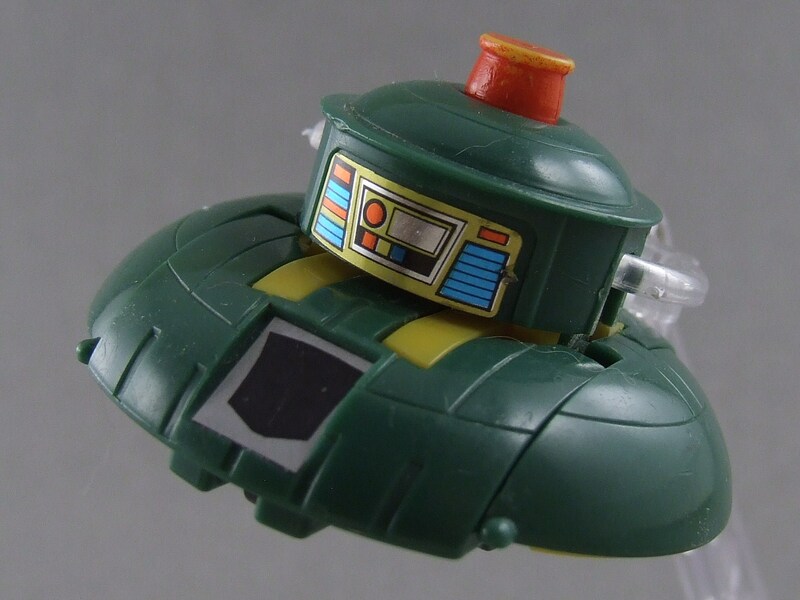 I love the irony of a “robot in disguise” picking a disguise as a UFO. That’s not going to draw attention, right? 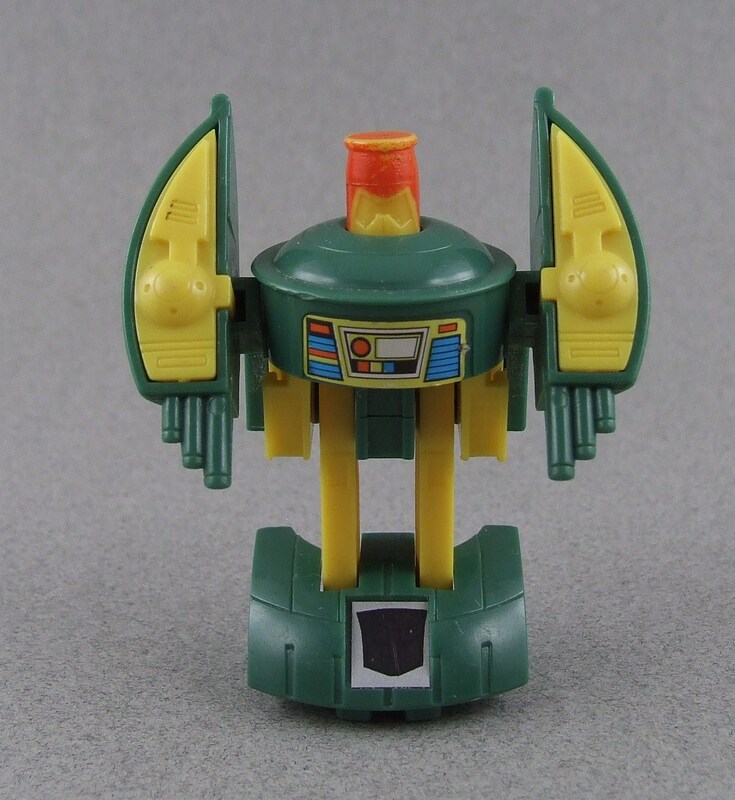 Cosmos is a quirky little character that had some memorable funny moments in the G1 cartoon, needless to say I needed to have this guy in toy form. For some time now I’ve owned both the Henkei/Classics version and the iGear version UFO (creative naming iGear). It was right after I read the crossover issue IDW’s Mars Attacks vs Transformers that made me practically run straight to a local Transformers shop to purchase my G1 Cosmos. 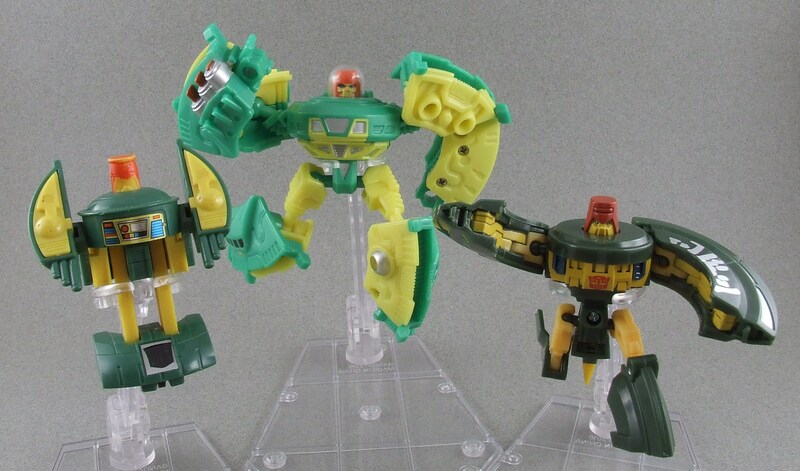 The mini-bots have proven to be endlessly fun so far in The G1 Journey, Cosmos stacks up nicely compared with the rest. 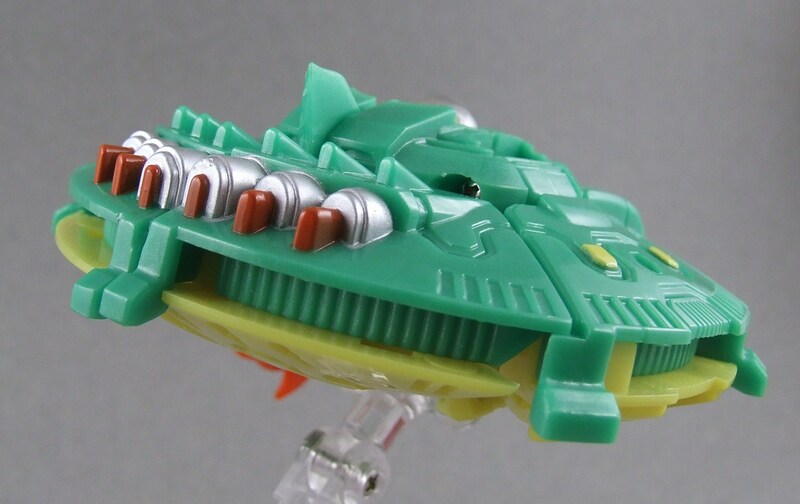 Although his character bios suggest he’d rather stay in his UFO alt mode and scare humans by flying through there backyards, I have to say I dig Cosmos’s robot mode even though it’s probably the lesser of his two forms. 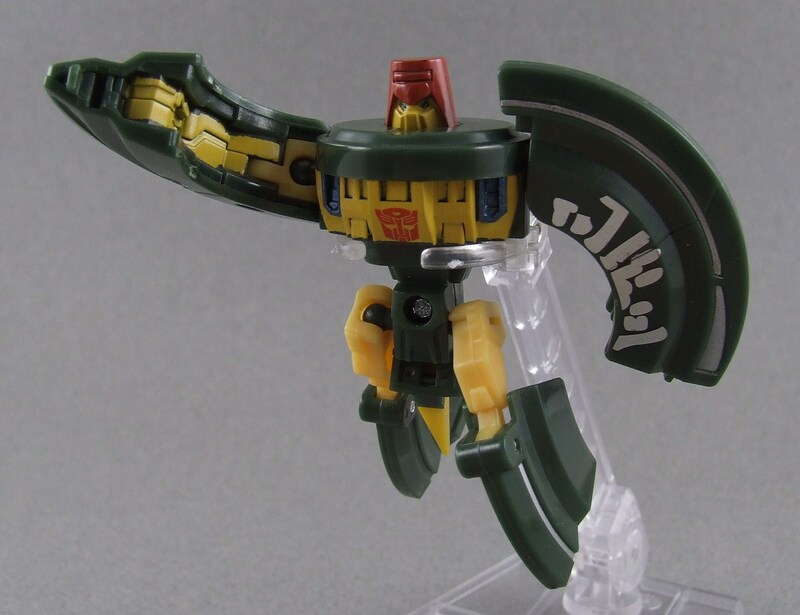 The big arms with what looks like blasters for fingers, one big block for feet with wheels on the bottom, and then to top it all off his UFO dome becomes his head when it’s exposed. It seems kind of hectic when I write it like that, but in person/pictures he’s a good looking figure with your typical G1 articulation; it’s also worth noting he can be hard to stand due to the wheels. 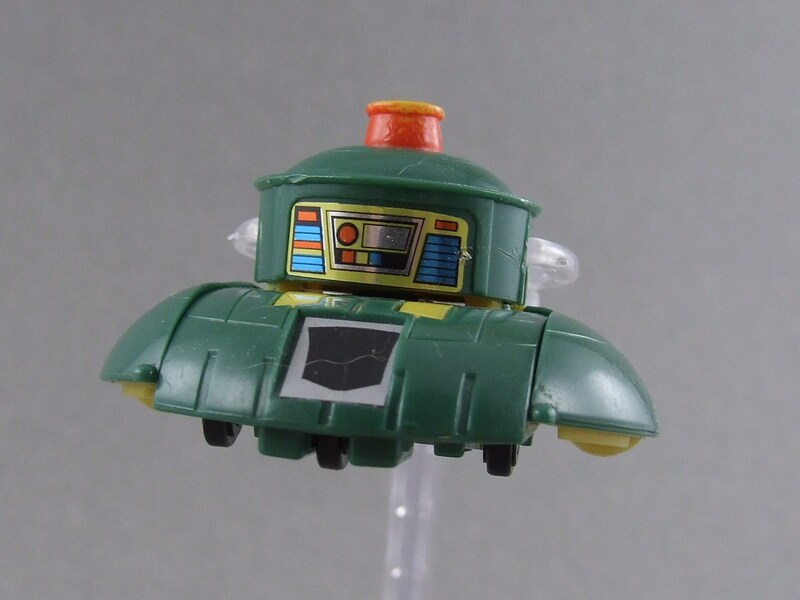 One thing to look out for when purchasing a vintage G1 Cosmos is the paint wear on his dome – mine unfortunately has some red paint rubbing off from years of transformations. I’ve looked forward to this particular Evolution segment because frankly, how many ways can you update a classic looking flying saucer? To have a great Classics Cosmos, the route taken was to keep Cosmos as similar as possible to his G1 predecessor. 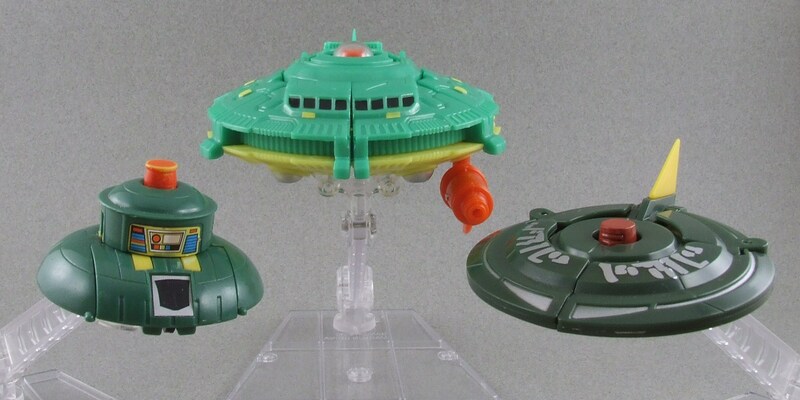 Taking a look at two figures today, I feel like both have their shining moments: the Henkei Cosmos maintains the mini-bot stature with a much sleeker UFO mode, and the iGear UFO is a larger deluxe Cosmos with more beef and detail to the character in both forms. 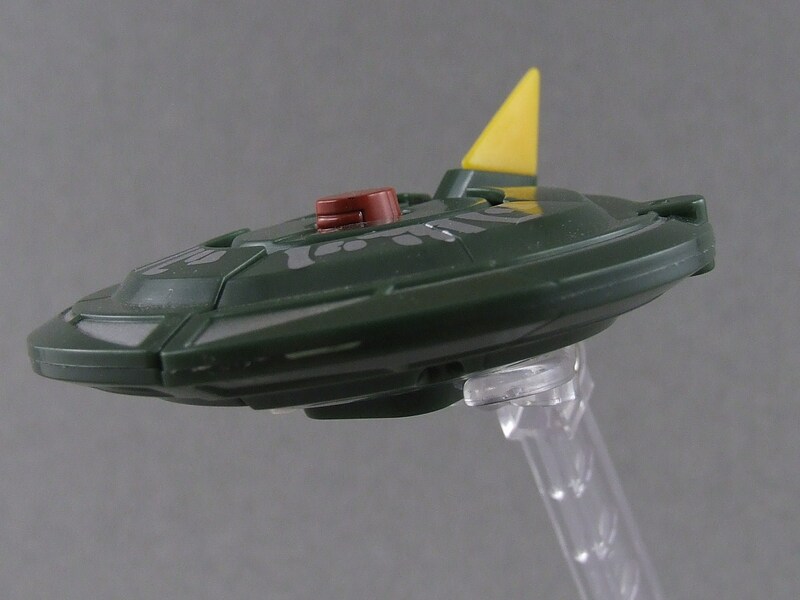 As a Classics update, I prefer the Henkei (or Universe) mold. 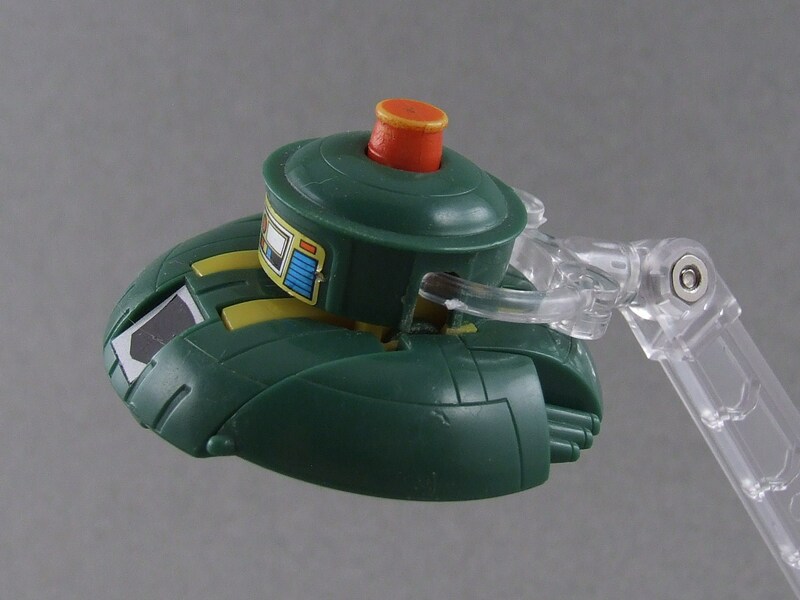 I really like when G1 mini-bots are featured in Legends scale and are true to their G1 roots – but that’s a personal preference and not for every collector. 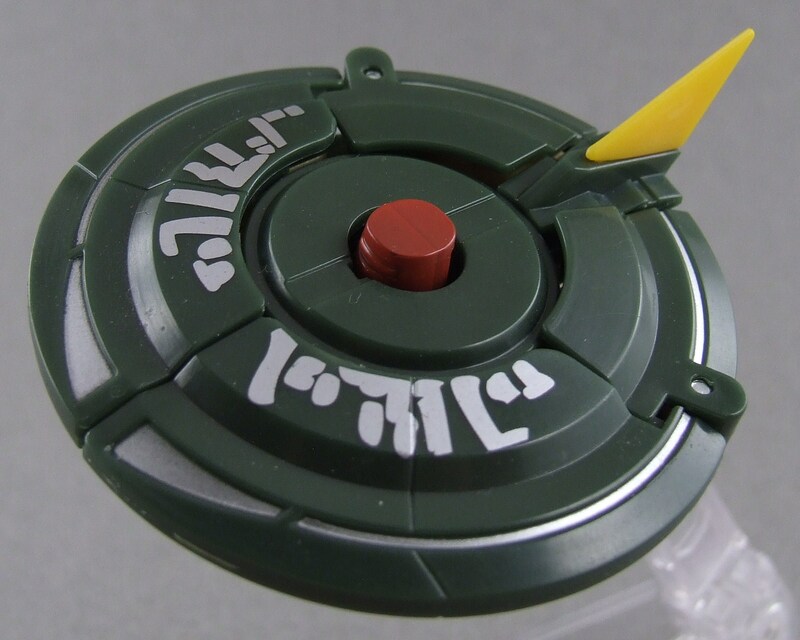 The Henkei’s UFO mode is much sleeker than G1’s, but also features some great added detail not seen before, such as the Cybertronian lettering spelling out Cosmos’s name. 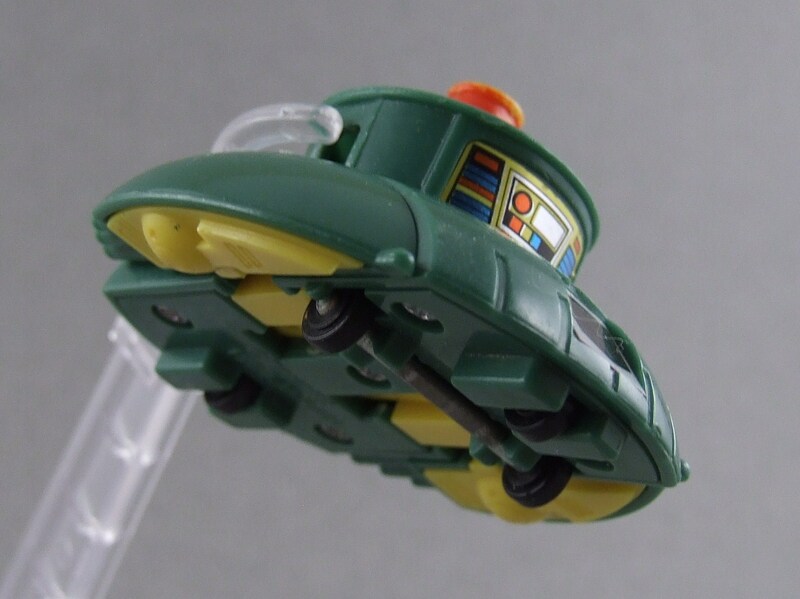 From TFwiki.net: “Bill Rawley claims responsibility for the markings on Cosmos, which spell out his name (“Cosmos”) in “Cybertronian” lettering.” The one major asethetic flaw I have with this Cosmos is the peculiar placement of his UFO “spoiler” right between his legs. 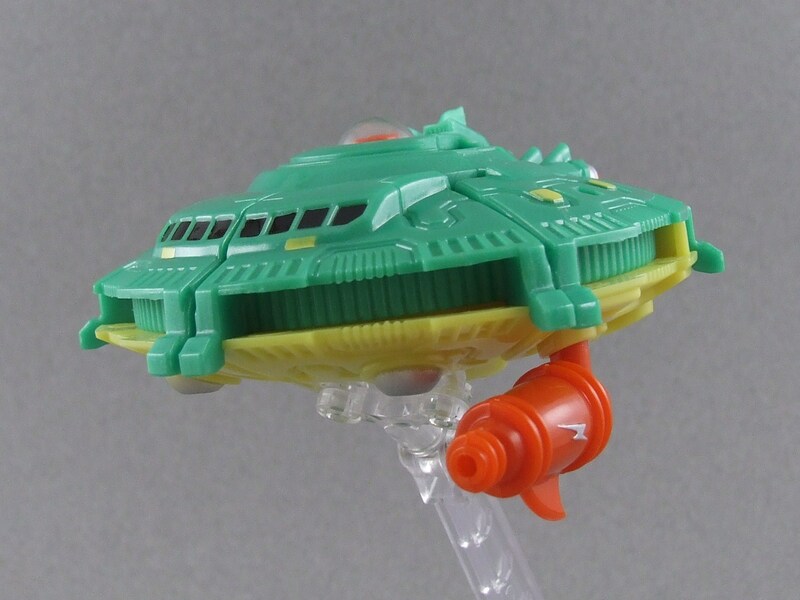 iGear’s attempt at Cosmos resulted in a lighter green, larger deluxe version of the space cowboy. Many fans were a little letdown at the upscaling of iGear’s release as it was originally intended to be at a Legend’s scale. UFO has a very simple transformation scheme, a decent amount of articulation, although limited to his really bulky arms, and comes with a really cool looking martian style blaster. The big draw to this figure in my opinion is the dome face; not only is it executed well but the dome itself is also removable so you can have a new take on the Cosmos head. 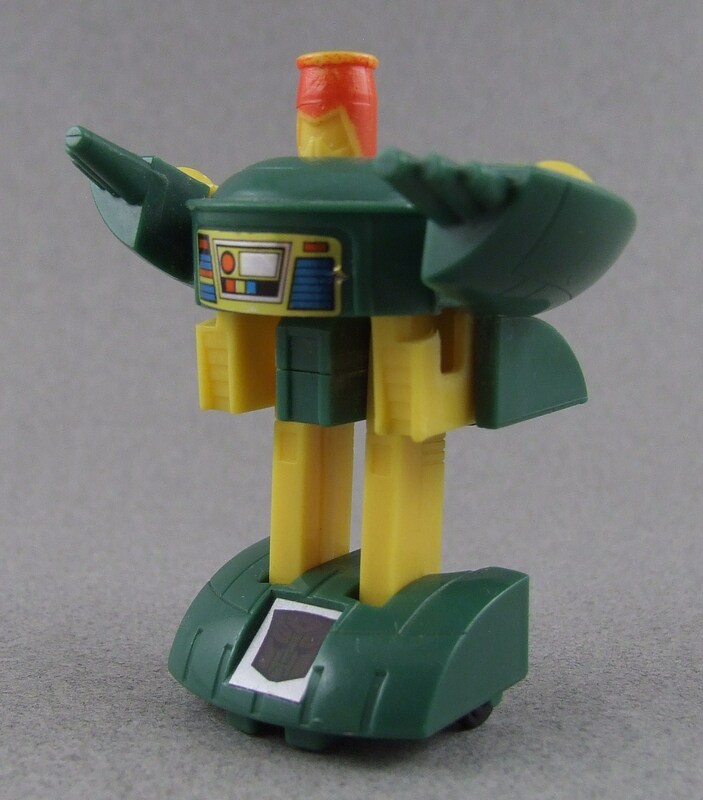 Although I like this figure, I believe it falls short as a Classics update for Cosmos due in large part to the lighter green deco and his size. 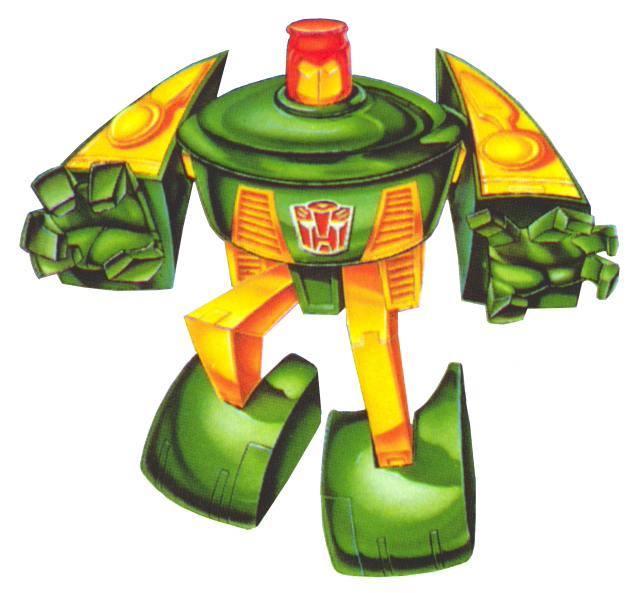 I love his G1 “Grab some boobies” character art. These pictures are just top-notch. I love the group shots! If memory serves me correctly I bought my G1 Cosmos while on vacation at Universal Studios in CA. 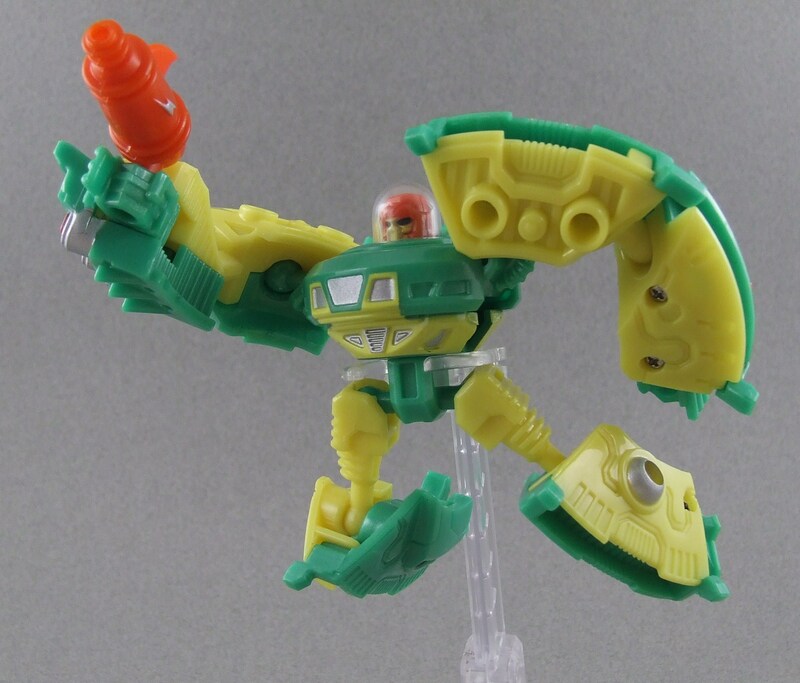 I seem to remember playing with him (and G1 Bonecrusher) on the tour at Universal and ignoring the theme park! lol that’s a great story! Nothing like a freshly cracked Transformer to keep you entertained … even in a theme park!